Watching your children grow up is a joyful, rewarding, and exciting experience. It can also be stressful, frightening, and confusing. Your babies are on a journey toward adulthood and there is only one way to get there - by navigating through the often treacherous territory known as adolescence. It can be an agonizing time for the both of you. On this course, you and your teen will frequently negotiate confusing emotional detours and dead ends. While on this path, one of the most difficult obstacles you could face is finding out that your teen is cutting or self-harming. Self-injury/harm (formerly referred to as self-mutilating) is the act of intentionally harming one's body. This is most often done by skin cutting, but can include burning, scratching, banging, hitting, hair pulling, etc. Unfortunately there are many different ways one can harm themselves but there’s one thing that all self-harming behaviors have in common, and that is the presence of an intense internal emotional struggle. Cutting can be described as emotional focusing. Emotional focusing is the act of transforming very big, overwhelming and often difficult to define feelings into something smaller, tangible and seemingly more manageable. Kind of like putting a cloud into a thimble. Deep emotional pain (anger, not fitting in, feeling alone, self-loathing, shame, etc) can be confusing and abstract. Creating physical pain and scarring sort of packages these sensations and negative beliefs into something measurable. Your teen is searching for a way to cope with something that is far too big. How can causing physical pain and discomfort make a person feel better? It actually does, in a not so healthy, maladaptive kind of way. There are a few ways. First, physical injury causes the body to release endorphins that calm and soothe. This physiological response can be quite powerful, some even describe it as a high. Next, teens often feel a sense of control or rebellion after self-injury. There can be a rewarding sense of power. Comfort can also come from the “battle scars”. Some teens report feeling better when they see the scars and marks; some view them like a badge of honor. Just because your child is cutting doesn’t necessarily mean they want to die. It is common for teens who are self-injuring to be extremely depressed and may have suicidal thoughts, but it is important to know that self-injury and suicide ideation are two different things. Each can be present simultaneously or independent of each other. Sometimes getting an adolescent into therapy is like trying to pull out those proverbial teeth. They may say, “I don’t need therapy!” “I talk to my friends.” “I’m not crazy!” “You need therapy!” They may be resistant to the idea, but it is important that you try to get them to someone who can help. To make the process a little easier, start by looking for a therapist that has a lot of experience treating adolescents and self-harm. Next, look for someone who has a “real” feel. If your teen is already resistant to the idea of therapy, they may do better with a clinician who doesn’t actually sound like a clinician. Someone who has a lot of experience will probably have a few tricks up their sleeve to help facilitate getting them into the office and keeping them there. Now its your turn. 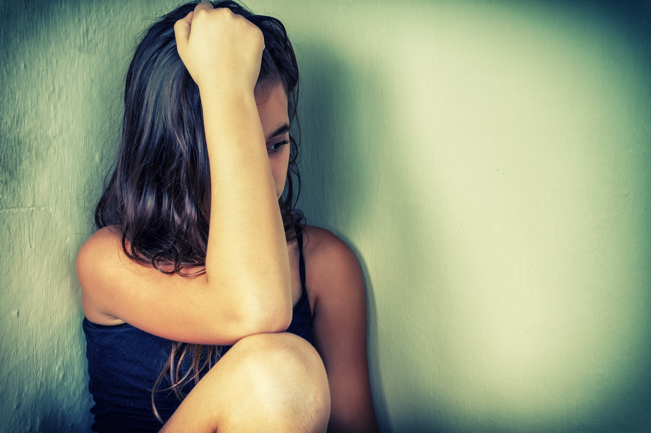 Discovering that your teen is self-harming will cause you loads of concern and confusion. Guilt, anger, resentment, and fear are just a few of the emotions you will encounter when dealing with this issue. Having professional support and guidance through this is going to be very helpful. That’s all there is to say about that. Don’t ignore it. Some parents may feel angry and resentful after discovering that their child is cutting or self-harming. You may have a long list of legitimate reasons to be angry at your child, but now is not the time. (See Do #5 for help with this.) When you sit down to talk with your child about self-harm, you need to be as calm and empathetic as possible. You will shut them down if you are too aggressive. Be concerned, loving, supportive, and calm. When addressing this complicated topic with your child please, please don’t accuse them of attention seeking. There is no better way to make a teen feel isolated and misunderstood then to minimize what they are going through. “You’re just looking for attention” is right up there with “You’re not really in love” on the list of what not to say to your teen. Cutters (burners, etc) often say that it doesn’t hurt. There are at least two reasons for that. First, remember those endorphins we talked about in Do #2? Well they play a role in numbing the pain. These morphine mimicking neurotransmitters dull the physical pain while creating a sensation of calmness. The second reason a self-injurious person may not feel pain is because they may be dissociating. Many cutters describe a “zoning out” feeling right before they self-harm. Some describe it as a zombie or robotic feeling, which will serve in reducing any perceived pain. Unfortunately, self-harming can sometimes be a difficult behavior to quit. The endorphins, dissociation, feelings of being in control, etc., can all be habit forming and may become compulsive. Your teen may actually want to stop but may have a hard time doing so. Another reason to get them to an experienced therapist as soon as possible. If you have discovered that your child is self-harming, this is an extremely difficult time for the both of you. Please find professional help for them and for yourself. Cutting, burning, and otherwise self-injurious behavior is a serious issue that should be addressed right away.